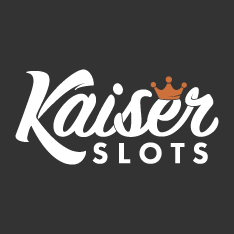 Established in 2017, Kaiser Slots Casino is another welcome addition to the online gambling scene. Owned by Aspire Global International, the casino is licensed by the Malta Gaming Authority and the UK Gambling Commission and features a great selection of games by practically all well-known game suppliers. 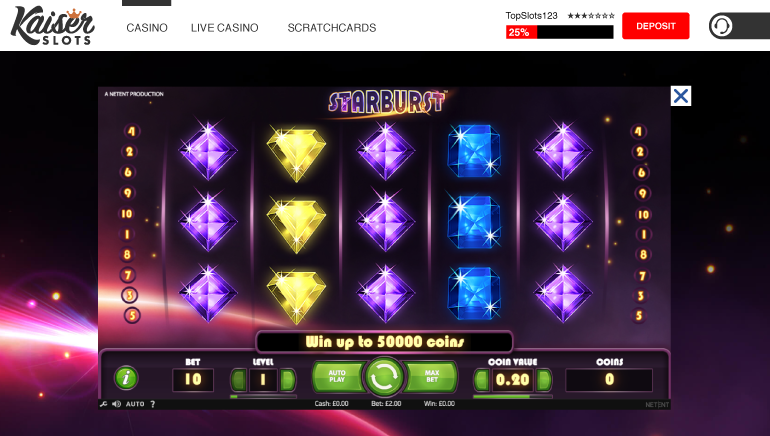 Kaiser Slots Casino utilizes proprietary gaming platform developed by Aspire Global. The instant-play platform features modern looks and it is fully compatible with all sorts of desktops, laptops, and mobile devices. 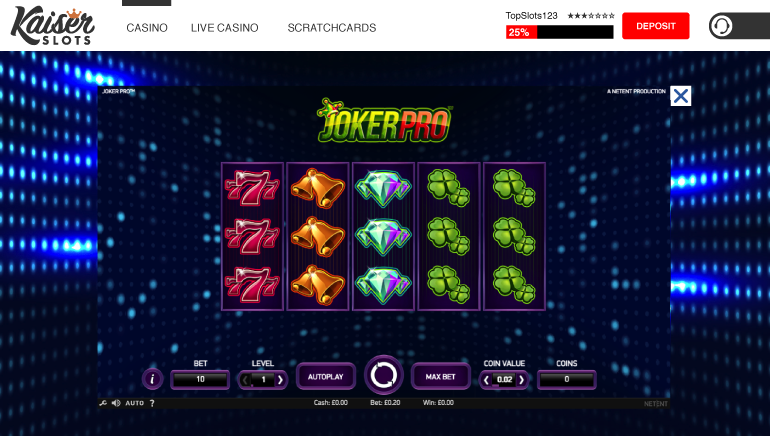 Alongside appealing looks, the software is also very player-friendly with games conveniently distributed in a number of categories and the search box in the top right corner to make the navigation simple and easy. Kaiser Slots features several hundred slots as well as a number of classic table games like blackjack, roulette, and baccarat. 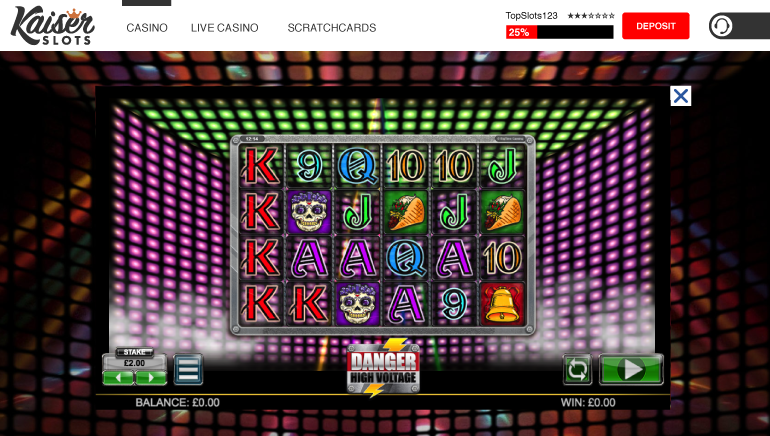 The live casino section is provided by Evolution Gaming. 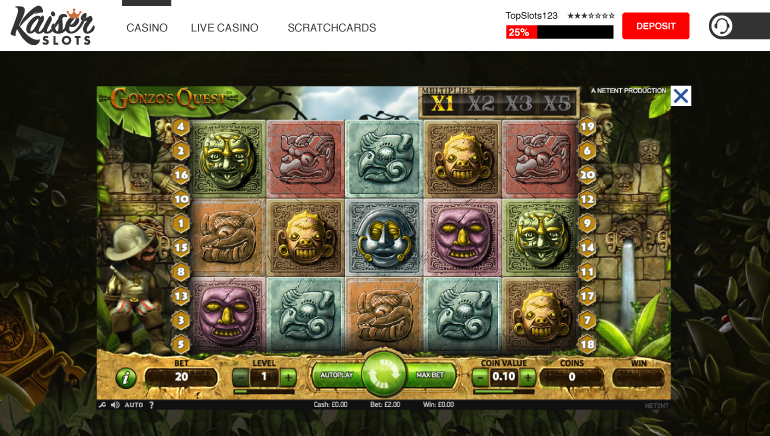 However, slots are the main attraction of his online casino. 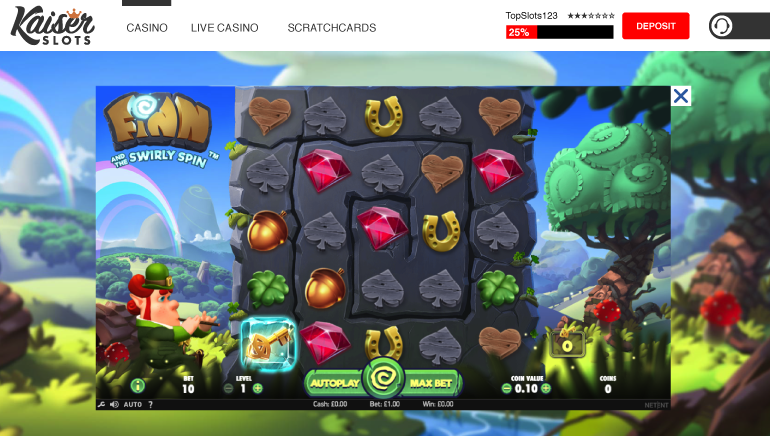 Kaiser Slots Casino partnered up with many popular game developers like NetEnt, Microgaming, Play'n GO, Elk, NYX, NextGen Gaming, Neo Games, Thunderkick, Blueprint Gaming, Realistic, Scientific Gaming (SG), and more. Therefor, their portfolio of games is quite impressive with a number of classic titles as well as many new additions regularly added to the library. The welcome bonus offer at Kaiser Slots Casino is fairly small when compared to the rest of the market. The casino clearly plays on the strength of its offer and overall service, while the welcome bonus is just a little bit extra to greet new players with some extra cash and a few free spins. Kaiser Slots Casino features a great number of deposit and withdrawal methods, which should meet the needs of most players. This includes Visa, MasterCard, NETELLER, Skrill, Zimpler, Dankort, Giropay, Paysafecard, and bank transfers. Regardless of the method used, there is a 48-hours pending period for all withdrawals. Once these 48 hours are over, players' winnings are sent out and the additional waiting time will depend on the method used. The customer support team at Kaiser Slots Casino is available to players via email, live chat, and telephone. Live support agents are available seven days a week from 06:00 to 23:00 GMT.